Outside of the US, most of industrialized world must import its natural gas as costly LNG and, as they turn away from conventional coal plants and nuclear power, that leaves them with a narrow range of alternatives. 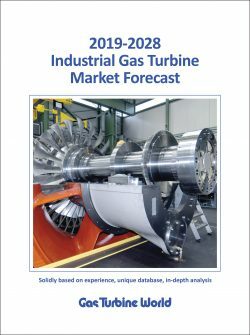 Due to the abundance of domestic low-cost natural gas for power generation, It is highly unlikely that any more Integrated Gasification Combined Cycle (IGCC) projects will be built in the US in the foreseeable future. But, does that energy scenario apply in other parts of the world? No, not necessarily. Is there still a future for more efficient and cleaner IGCC technology outside of the US? Yes, possibly. One need only recognize that the US is an exception in its apparently unbounded supply of low-cost natural gas for power generation. Most of the rest of industrialized world must import its natural gas as costly LNG and, as they turn away from conventional coal plants and nuclear power, that leaves them with a narrow range of alternatives. Japan is a good example of the need for a clean-coal option. With its unfortunate experience at Fukushima causing a reversal in its growing dependence on nuclear power, and with little in the way of domestic fuel resources, coal is possibly being a growing factor in its generation mix. Mitsubishi, with the Japanese government and electric power industry, has been working methodically for more than a decade (ref. 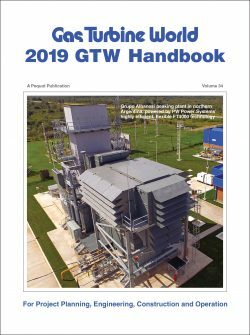 GTW, May-Jun 2005) to develop and demonstrate an efficient and reliable air-blown gasification process and IGCC power plant design. The 10 year-old 250MW MHI IGCC demonstration plant in Nakoso has now been placed in commercial service to provide badly needed generating capacity. Today, based on lessons learned at Nakoso and other experience, Mitsubishi is taking responsibility for the design and implementation of two additional commercial-scale IGCC projects in Japan. So, it may be in Asia, with broad access to low cost/low quality fuel feedstocks, where the promise of IGCC technology may finally be realized. In the past 5 years, three new coal-based IGCC demonstration projects have come on line in Asia – one each in China (265MW GreenGen, Tianjin), S. Korea (300MW KOWEPCO, Taean) and Japan (140MW, Coolgen, Osaki). Two very large refinery-based IGCC projects, where the feedstock for gasification will be liquid or solid (pet coke) refinery residues, are under construction in Asia. One, at the new Saudi Aramco refinery complex being built at Jizan, will have 4000MW gross power generating capacity, with 2400MW being exported to the Saudi grid. It will employ 15 Shell oil-gasification units and 10 Siemens SGT6-5000F gas turbines equipped to burn syngas (H2 + CO). In India, the Reliance Industries’ Jamnagar refinery “poly-gen” project will use 10 CBI “E-Gas” gasifiers to gasify 29,000 ton/day of petroleum coke. Besides 1300MW of electrical power (GE is supplying the gas turbines), the syngas generated by those gasifiers will produce hydrogen and methane for refinery process use, replacing expensive LNG now being used for those purposes. As the saying goes “what’s past is prologue”, and with IGCC power generation, there are 20+ years of relevant R&D and demonstration experience from which new project developers could find a wealth of lessons learned to avoid both technical and economic pitfalls. 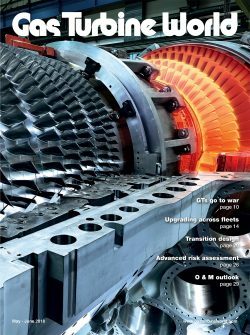 An excellent perspective on the history of IGCC development and deployment was recently compiled by EPRI researchers Jeff Phillips, George Booras and Jose Marasigan in their paper “A History of Integrated Gasification Combined-Cycle Power Plants” (GT2017-64507) presented at the ASME Turbo Expo, Charlotte, NC, June, 2017. The first of these was at Southern California Edison’s Cool Water Station in the Mojave Desert. This greenfield plant combined a Texaco (now GE) coal gasifier and a GE Frame 7E-based combined cycle unit, producing a net plat output of 93MW. It operated for 6 years (1984-1989) and, after an initial 3-year learning curve, achieved very respectable reliability/availability performance. 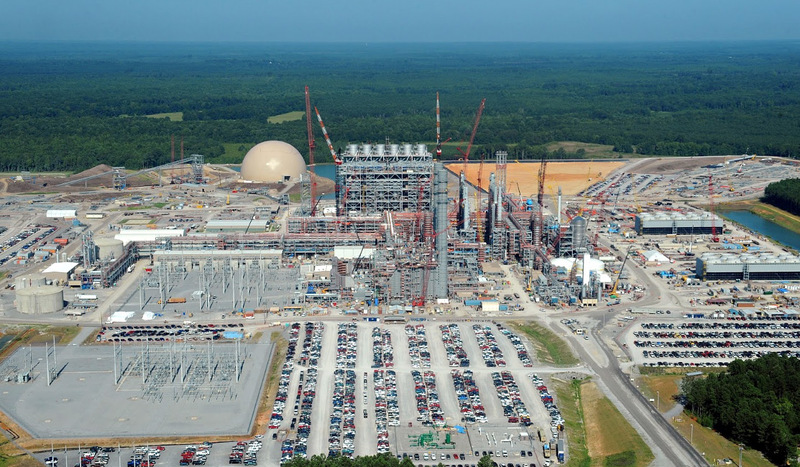 Also, notably, according to EPRI, which partnered in the project with Texaco, GE, SoCalEd, Bechtel, a Japanese consortium and others, the plant was built on schedule and under budget. The project at Dow Chemical’s Plaquemine, Louisiana, facility, involved feeding syngas from a newly developed Dow (now CBI E-Gas) gasifier to partially fuel (80% syngas, 20% natural gas) two existing Westinghouse 104MW W501D5 gas turbines at the site. That demonstration ran for 9 years (1987-1995), while benefitting from a US Synfuels Corporation subsidy to compensate for the difference in fuel cost, and supported a later demonstration project employing the E-Gas gasifier at a US utility. At Schwarze Pumpe, Germany, a GE Frame 6B gas turbine was fueled with syngas produced by a developmental Gaskombinat (now Siemens) gasifier installed at an existing coal-to-town-gas plant site. This unit ran successfully for 13 years (1985-2007). Following a hiatus of about 10 years, a second round of IGCC demonstrations projects took shape in the mid-to-late 1990s. Four coal-based utility plants were built to successfully demonstrate the technology – two in the US and two in Europe. In the US, with US DOE support under its Clean Coal Program, the Public Service of Indiana (now Duke Energy) Wabash project involved syngas production using an E-Gas gasifier, modified to incorporate a dry solids filtration system (vs. earlier wet venture scrubbers) to improve efficiency. A new syngas-fired GE Frame 7F gas turbine was used to repower the existing 1950s-vintage steam turbine at the plant. The Wabash IGCC plant ran for 20 years, from 1996-2015, mostly as a commercial plant following the DOE-supported 5-year demonstration period. Despite lessons learned from earlier demonstrations, it still took several years for the technical and operational issues to be resolved before the plant achieved respectable reliability/availability performance levels. Many improvements to the E-Gas gasifier design evolved out of this project, and these should cause better performance for the new projects using E-gas technology. The other US DOE-supported IGCC demonstration plant was a greenfield project built at Tampa Electric Company’s (TECO) Polk County power station using a larger Texaco (now GE) gasifier and GE Frame 7F gas turbine. The TECO plant is rated at 250MW and is a roughly 2:1 scale up of the earlier plant. It started IGCC operations in 1996 and is still in operation after 21 years. 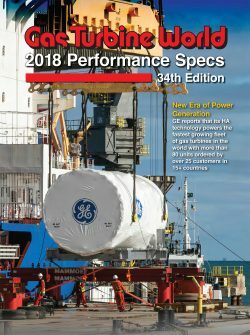 As with the other projects, it took 3-4 years for reliability/availability levels to reach mature target levels, but like the Wabash plant, it may have also suffered somewhat from early gas turbine problems. After a five-year demonstration period using bituminous coal feedstock, the feedstock at the Polk County plant was switched to lower cost (and near ash-free) petroleum coke on which it continues to operate as an important part of the TECO system. According to EPRI, it is TECO’s lowest marginal cost plant. The two European coal-based IGCC demonstration projects built during the 1990s were in Holland and in Spain. The Dutch plant was built by the regional power producer NUON in the town of Buggernam. It featured a new dry-feed Shell gasifier that was scaled up from a 1/8 scale demo unit developed by Shell at their Texas facility. The 253MW combined cycle unit was based on a syngas-fired Siemens V94.2 gas turbine. This plant operated from for 22 years (1994 to 2013), many of which while operating on combined biomass/coal feedstock. In 2002, with restructuring the Dutch power market, the plant began peak-shaving operation, proving that it could meet the system load-following requirements. Unlike prior IGCC demonstration plants, the IGCC design utilized at the NUON plant aimed at optimizing thermal efficiency by tightly integrating the three main operating systems – air separation unit (ASU), gasification and power generation. Besides integration of the heat recovery/steam bottoming cycle, all of the air for the ASU was extracted from the gas turbine compressor. And, nitrogen effluent from the ASU was used for dilution of the syngas to reduce NOx emissions. Reports indicate this integration, although improving efficiency, made operations somewhat problematic, particularly at start-up, and detracted from reliability/availability performance. The NUON plant was the first IGCC use dry solids filtration (instead of wet scrubbing of the syngas), also intended to enhance thermal efficiency. According to published data, the plant demonstrated a net thermal efficiency of 41.4% (HHV), which was about 4 percentage points better than other IGCC plants . The IGCC demonstration plant in Puertollano, Spain, known as ECOLGAS, was owned by seven European utilities. Like the Dutch plant, it incorporated high systems integration and, although also achieving higher efficiency, it too suffered from it in terms of lower reliability/availability performance. Unlike the Dutch plant, however, ECOLGAS took one step further to improve thermal performance and used the recently Siemens V94.3, increasing power output by more than 15%, to 291MW. However, data presented over the years by project managers indicated that gas turbine related issues detracted heavily from plant reliability. The ECOLGAS plant operated from 1998-2015 and didn’t reach 70-80% annual availability levels (on syngas) until near the end of its 18-year run. Eventually, the plant was closed due to economic considerations, especially with the high growth of wind and solar power in Spain. Get the latest news, early access to feature stories, and FREE digital access to our select publications.